Rick White passed away today, January 11th after a striking but brief cancer fight. Catsailor: If you want to define the meaning of this word you just have to look further onto Rick's life. There is a scene from Saving Private Ryan where a veteran ask his family if his life was worth it, it's a striking moment as it makes one asking the same question: Do I'm wasting my life ? did I invest my time wisely, did I help others, did I work and shared experience and knowledge? Well for Rick White the answers are quite easy to respond, Rick excelled in all his endeavours and he was even a top racer in several sailing classes. Many of us read his books , videos and tutorials like Catamaran Racing for the 90s, and also visited daily his Catsailor.com forums to learn more about this great sport. Rick continued working for the sailing community a Vice Commodore in his latest club and formed the NA Hobie Wave Assoc some years ago, of course he led the fleet on the water too. 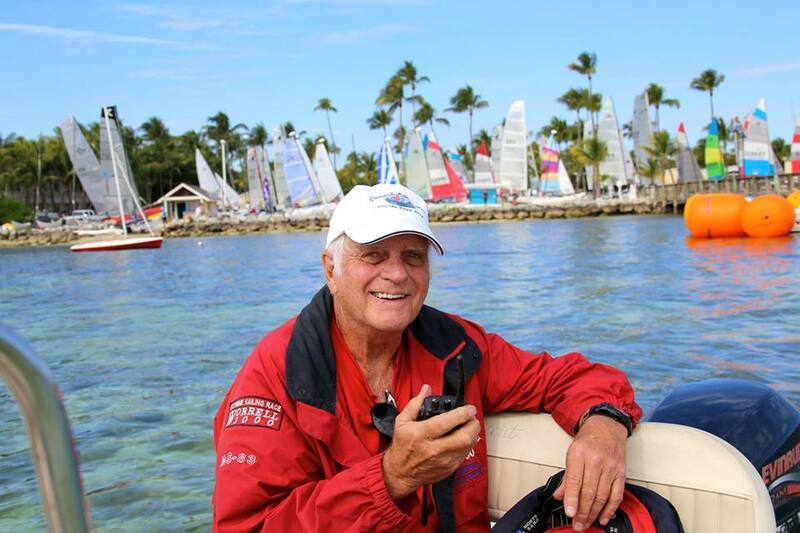 Rick pushed and promoted many classes, and more of his achievements here, but always with an open mind, as with the custom racing sails they setup for the Waves of the Multiclasses regattas he organized. Check Mary Wells words remembering Rick at catsailor.com. Rick White had a great life, a Sailor, a Pilot , magazine editor and song writer, a teacher and a guide for many Catsailors in the US and world wide. He will be remember as a truly legend that dedicated his life for the sport.